It was Saturday afternoon before I decided I definitely didn’t have enough time to participate, but I was still thinking a lot about game ideas. 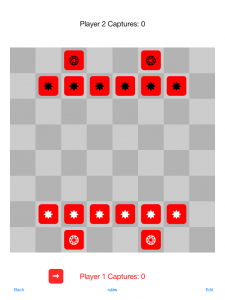 At that point, I had narrowed down the infinite paths in my brain to about two game ideas. Who knows, if I’d had enough time to actually make something, which one I might have latched onto. 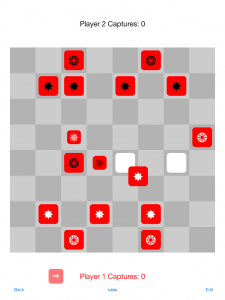 I’ve been thinking lately about games that I characterize as “math puzzle games”. Some app store examples are Drop 7 (very early example), 10, Nozoku. I think some of the inspiration here is seeing the updates to my friend Roger’s Nurikabe app, Nurikabe Vault, as well as seeing some twitter buzz around Asher Vollmer’s forthcoming Threes. 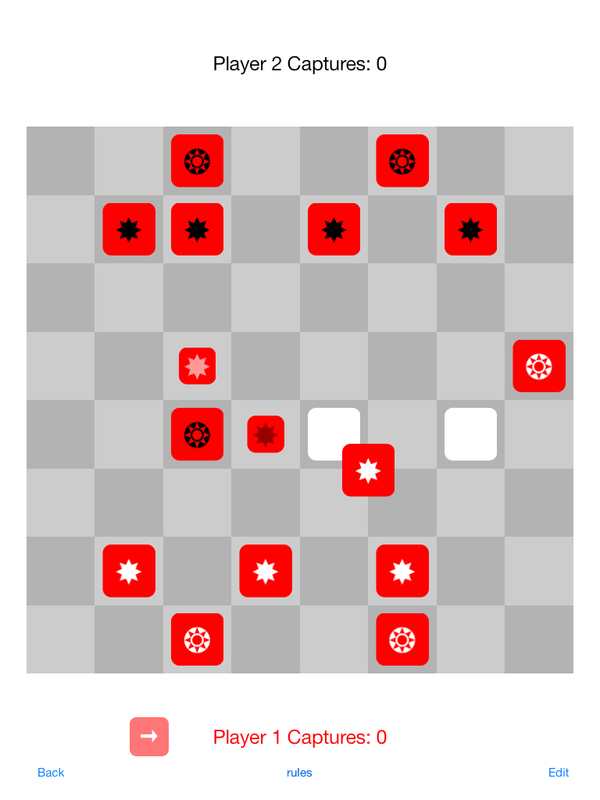 Anyway, the game idea is essentially a grid of empty spaces that slowly fill up with numbers and math operators. (0-9 and +, -, x, %) The goal would be to “remove” those numbers by sliding over an equation that equals exactly 1. It would start easy with lots of 1s, 2s, 3s, and +s and -s, but eventually end up more difficult. Of course the speed of numbers and symbols appearing would also need balancing. This idea is simple enough I could easily have made it over the weekend. I may yet do up a prototype, we’ll see. This is clearly inspired by all the thinking I’ve been doing about local multiplayer games, (which deserves its own post some other time), but essentially the idea here is a “get the man with the ball” type game. These are not uncommon and I would not have pursued it without adding some twist or spin on it, but I’ve been really wanting to make a game or two that uses 2-4 PS3 or XBox controllers plugged into a computer. (With the eventual intent to showcase the game in an arcade cabinet somewhere, again, more about this later.) I didn’t actually come up with (enough of) what would make this game super different from every other game with a mode like this, but I was thinking maybe the “thing” you carry around gives you some power, (like a sword that gives you the ability to fight off the other players, or a teleport on a timer or something) and that would be randomized between “rounds”. Again, not a super unique idea or anything, but it fits with some of my personal short term goals. This happened at dinner tonight, my 3-year old daughter had a game idea that was, unfortunately, never properly explained.